The senior PA official who told Israelis that the Western Wall in Jerusalem “must be under Jewish sovereignty” had a different story to tell Arabs. “At the end of the day it must be under Jewish sovereignty, we have no argument with that," he said. However, watchdog Palestinian Media Watch (PMW) pointed out that, a day later, Rajoub strongly denied that he had made the statement during the interview, writing bluntly in Arabic on his Facebook page: "I did not mention the word sovereignty or Israel." In addition, PMW reported that, on Monday, Rajoub told official PA TV that he had only said in his Israeli interview that the Western Wall should be "under Jewish religious supervision," and claimed that the released version of the interview had left out his statements refusing to recognize Jewish sovereignty over the Western Wall. Although in his interview with Channel 2 Rajoub had stated that the Western Wall should be under Jewish sovereignty, he had asserted that the Temple Mount itself belonged to the Arabs. 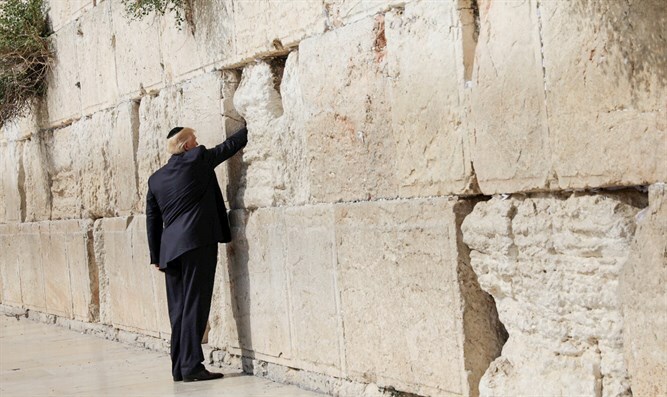 Analysts felt that the reason for his statement conceding on the Western Wall, an outer wall of the Temple Compound, was to be able to say he had compromised and assert that the Temple Mount itself, Judaism's holiest site, belongs to the Muslims. "Listen, the Temple Mount is ours, okay? It is not yours [...] A status quo that has been in place since 1967, which [former Israeli Minister of Defense] Moshe Dayan determined - I think that the two of us need to honor it,” he said. “But if you want to cause an explosion, then say 'This is ours and this is ours...' I say something else, okay?"